We receive Christ as our Lord by grace through faith. This is a gift of God, not of works, lest any should boast. If we boast in anything, it is in the amazing goodness and faithfulness of a God who saves, who calls us to live in peace with Him and in harmony with our neighbour. God leads His dear children along, orchestrating all aspects of our lives down to the minutest detail. My life has been full of upheaval lately. Uncertainty abounds. Yet I trust in a God who is unchanging, steadfast, powerful - a Rock. Last year, I renewed my license and took on a full time route as a bus driver. Not too long after I began, my company switched my route. I was a bit apprehensive, because the new route came with some rowdy kids, according to the many complaints I heard over the radio. Thankfully, with a lot of patience and consistent firmness, the kids' behaviour transformed and I ended up with a happy bus full of kids. They told me that they hoped I'd be their driver this coming year. The principal of the school told me that I was a great bus driver, and that they were blessed to have me. So when I got the call informing me that the company had re-worked the routes, and that there was no route for me, I was taken aback. I thought the bus route, along with the painting business I am setting up, would provide enough income for us to pay our bills. Losing that steady income was a blow. This made the plan to open a store that much more urgent. I've been a homeschooling mom since 1983, and a pack rat to boot. This translates into an accumulation of far too many books, maps, binders, tapes, and other paraphernalia that I thought I needed or might need some day. It astounds me that over the past two years I have given away at least 200 boxes full of books. We've been sorting and tossing and organizing stuff since June. My eldest daughter has been an amazing help with all of the online set-up, and everything else - just so many things that the list is too long to mention. I've had family members come whenever they can to help me, and yesterday a friend arrived, ready to work. I think she was shocked at the mess. I'm sure she had no idea how bad it would be, considering I've been talking about all the work we've been doing. She was amazing. No words of condemnation... she just pitched right in, and by the end of the day I had more hope than I've had in a long time. I know she was sent by our gracious Heavenly Father as His servant, to be an encouragement to me. I know she walks with Christ, rooted in Him, and because of that she has the ability to build others up. I am abounding in thanksgiving today. There's no driving job, but there is a store that just might open on time, because God who orchestrates my entire world is providing exactly what I need. O Father, when men think of Your attributes - that You are completely self-Sufficient, and need nothing outside of Yourself, that You are Sovereign over everything (each atom, each molecule, each thought, each word) You created, that You are Holy, Powerful, Faithful, Good, Patient, Gracious, Merciful, and Full of Wrath - they ought to tremble. They ought not to sin. I meditate in my heart when I lie in bed, still, before You. I offer You the sacrifices of my righteousness - mortifying the flesh, putting to death those sinful thoughts and words and deeds that You, my Saviour, already died for. How dare I fear? How could I whine and complain and fret and worry? The God of the Universe is on my side, and He Who Does Not Lie has promised never to leave me, nor forsake me. I trust in the Living God. Lord, it grieves me that the world cries out, "Who will show us any good?" They see your goodness every day, in the rising of the sun, in the food on their table, in the smile of a lover... and yet, they are NEVER satisfied. Charles Spurgeon wrote, "Never satisfied, their gaping mouths are turned in every direction, their empty hearts are ready to drink in any fine delusion which impostors may invent; and when these fail, they soon yield to despair, and declare that there is no good thing in either heaven or earth." How terrible. How tragic. Lord, may my thoughts be ever turned towards You, and may I always remember that You are the fountain of life! Lift up the light of Your countenance on me, O my God. You have put gladness in my heart. Whether or not I prosper, I have You, and You are enough. Fill me with Your Spirit, O God, and let me ever sing Your praises. Keep me from the temptation of looking at my circumstances and responding like the foolish. Let me never sit up to watch through fear, but let me lie down upon my bed in peace, knowing that You alone, O Lord, make me to dwell in safety. In lying down to sleep, I put my trust in You. I let the cares of the day go, and rest in Your unfailing love, and in Your power to keep me all through the night. You are not dirty even in the mud. Answer me when I call, O God of my righteousness. Even that statement is amazing. I have no righteousness in me, apart from that which YOU imputed to me by Your grace. You are so kind to me. You have, again and again, relieved me in my distress. You have proved Yourself steadfast and faithful, even when I am fickle and faithless. You have always been gracious to me, and You have always heard my feeble, sometimes fervent, prayers. Hear me now, my Gracious Father. Have mercy on me. I face Your enemies every day, O Lord. I am surrounded by those who treat Your word as a joke, and Your ways as a jest. It was ever so. They mocked You when You walked this dusty earth, teaching them to good news, showing them the way. They rejected the truth. How long will foolish men continue to love worthless fabrications, and strive towards vain, deceptive conceits? I must stop, and think, and meditate upon the deep-seated folly of the wicked. Their destruction is sure. The only difference between them and me is the admirable grace of God, which has taught me to love truth and seek after righteousness. If it weren't for the fact that You rescued me, I'd be facing the same sure destruction. Lord, I know (and all men should know) that You have set the godly apart for Yourself. Just as I set my mother's and grandmother's dishes apart, to be used only during a special occasion, You set me apart for Your good purposes. You hear when I call to You. I am Your treasure. Thank You that You ordain my steps, and order every single event that happens to me each day. Thank You for reminding me that no matter how I stumble, I am forever clean in You. How do the actions of this loyal group of women challenge you to a deeper commitment to Jesus Christ? 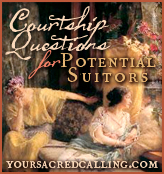 In Part One, I explained that asking this question was the wrong question. I outlined why these women, loyal as they were to the Lord Jesus Christ, were not at that particular time women I want to emulate. The women at the foot of the cross had a measure of faith, but until they were indwelt by the Holy Spirit, they did not have the same understanding that we do. They didn't understand that "Christ's death and resurrection are inseparable in effecting salvation." ~Thomas Schreiner They did not comprehend the darkness, the earthquakes, the temple veil that was torn in two from top to bottom, and they certainly didn't understand the Resurrection. Apart from the resurrection of Christ, those women had no hope. They were on their way to the tomb, bringing spices for the dead body of Jesus. They fully expected to find His body there. They were in mourning. However, that very day, on the evening of the very day that the women were planning to cover the Lord's body with spices and wrap His body with fine linens, He appeared to them. He spoke peace to them, and He breathed on them and said "Receive the Holy Spirit." This is what compels me. This is what challenges me to a deeper commitment to Jesus Christ! It is Jesus Who speaks peace to me, no matter what storms I face. It is Jesus who leads me to tread the path of life, rather than the path of death. Those women were stepping heavily on the way to the tomb, not in joy and in faith, but in doubt and in sorrow, in grief and in pain. Do you see the contrast between the path of death and the path of life that they were given? Jesus breathed life into them, and they were now "in Christ." If any man be in Christ, he is a new creature. The old things have passed away, and the new have come. How does the Life, Death and Resurrection of Jesus Christ challenge you to a deeper commitment to Jesus Christ? What change took effect on that first Easter Sunday? How did the lives of those women and those disciples change? What a change was wrought by the work of the cross and the resurrection of our Lord Jesus Christ. He has moved us from condemnation to eternal life, and brought us into a living and personal relationship with Himself. Even as mature Christians, we need to remind ourselves continually of the basis of our acceptance-it is entirely because of what Christ has done for us. Thus, faith in Christ is not a onetime event; we must live by faith each day. ~Derek W.H. Thomas. How the Gospel Brings Us All the Way Home (Kindle Locations 183-184). Kindle Edition. "What does this event, this passage, this Bible story, this man, this woman teach us about Jesus?" The resurrection of Jesus Christ took a doubting Thomas from confusion to faith. The resurrection of Jesus Christ took mourning women from sadness to peace. The resurrection of Jesus Christ changed Peter from a fearful Denier to a bold and fearless Preacher. The resurrection of Jesus Christ makes ordinary sinners into saints whose lips drip with grateful praise. There can be only one proper response to grace: a life of grateful holiness. Christ's atoning death was "in order that the righteous requirement of the law might be fulfilled in us, who walk not according to the flesh but according to the Spirit" (Rom. 8:4).. . .Christians, whose sins are forgiven, now live in holy, obedient gratitude for the grace they have received. Grateful law-keeping is the saved sinner's response to received grace. The rest of our lives are a way of saying, "Thank you." Derek W.H. Thomas. How the Gospel Brings Us All the Way Home (Kindle Locations 184-190). Kindle Edition. We love Him, because He first loved us. When we experience forgiveness and reconciliation, we are compelled to live a life of gratitude. If we love Him, we keep His commandments. Law-keeping out of love is the true path of holiness. Derek W.H. Thomas. How the Gospel Brings Us All the Way Home (Kindle Locations 195-196). Kindle Edition. One day, I hope to sit with the group of women who stood at the foot of the cross. I hope to hear them tell of the sorrow they endured as they witnessed the death of their beloved Lord. But more than that, so much more than that, I know that they will speak of the wonders of the gospel, and the joy of being forgiven. They will testify with gladness and gratefulness of the exceeding abundance of the Lord's provision for their sin. For everyone "in Christ," there is no condemnation. What a beautiful statement that is. Repeat it to yourself: "I have placed my trust entirely in Jesus Christ and what He has accomplished for me in His life, death, and resurrection. I am in Jesus Christ, and there is no condemnation." What a sweet thing that is, what a glorious thing. A million questions arise, not the least of which is this: "How can God possibly love me so much?" But the truth of the matter is greater still: the blood of Jesus Christ has atoned for our past sins, present sins, and even future sins. Whatever sin you may commit tomorrow, there is no condemnation if you are in Jesus Christ. They are blotted out. ~Derek W.H. Thomas. How the Gospel Brings Us All the Way Home (Kindle Locations 196-200). Kindle Edition. What compels you to a greater commitment to Jesus Christ? I attend a weekly ladies' study group. We're working through a book by Mindy Ferguson, called "Eyewitness to Majesty: Abandoning Self for Christ." 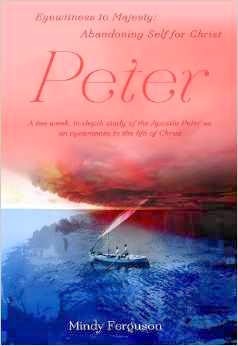 It's an in-depth study of the Apostle Peter as an eyewitness to the life of Christ. It's been an interesting study. The best part about any group study is the interaction with the other women in the group. As we share our insights, we understand more about our sisters' journeys through this dark world, on our way to glory. Last night, I shared my answer to a question, and I could tell by the response that I was not explaining my position clearly. Hence this post. On pages 130 - 131, Mindy Ferguson is leading the reader to think about the women who were at the foot of the cross. The women stood on the hill watching as Jesus was crucified. Crucifixion was a slow and agonizing death by asphyxiation. Mindy goes on to describe the suffering of our Lord, and quotes 2 Corinthians 5:21, explaining that Jesus became sin for us. I can't imagine how the women felt as they stood watching Him. They saw the soldiers mock Him and spit on Him. They watched Him breathe His last breath. Yet these women stood beside Him. They were Jesus' disciples. They followed Him, believed in Him, and took care of Him. They supported His ministry - even at the cross. Let's think about this group of women for a minute. There is no doubt that they loved Jesus. They had followed Him for years, providing for Him and His disciples out of their means. They had watched Him heal the sick and raise the dead. They had heard Him preach the gospel and thunder the truth at the Pharisees. These women believed He was the Messiah, and they loved Him very much. They stood there at the cross, weeping, mourning the fact that their Messiah was hanging there, suffering, bleeding, and dying. They were brokenhearted. You can see their bewilderment by reading Mark 16:1-7 and John 20:1-9. On Sunday morning, the women went to anoint Jesus' body. They were told by an angel, "He has risen. He is not here. See the place where they laid Him. But go, tell his disciples and Peter that he is going before you to Galilee. There you will see Him, just as He told you." And they went out and fled from the tomb, for trembling and astonishment had seized them, and they said nothing to anyone, for they were afraid. ~Mark 16:6b - 8. The angel also told them to go and tell the disciples this good news. She could have run to the disciples and said, "He is risen! The Lord Jesus is alive! He said He'd meet us in Galilee!" She just didn't get it. She did not understand. When I think about the trauma those women went through, my heart breaks for them. I am a mother, and I try to imagine, simply on a human level, what it would have been like to be the mother of the Son of God. Mary knew that Jesus was the Son of God, but to watch Him mocked and beaten and scourged and crucified must have brought her unimaginable pain. So, it's understandable that Mary Magdalene didn't rush to tell the disciples the good news. It hadn't sunk in yet. It wasn't good news yet. She didn't comprehend that Jesus was alive. She only thought they'd moved His body. It wasn't until He spoke her name, "Mary," that she began to understand. John 20:16 Jesus said to her, “Mary.” Hearing only her name, Mary recognizes the voice of Jesus. As Jesus had taught prior to his crucifixion, “He calls his own sheep by name. … and the sheep follow him, for they know his voice” (10:3–4).~ESV Study Bible notes. The women at the foot of the cross were devastated. They were in shock. They mourned and wept, and could not comprehend the plan and purpose of God. They watched Jesus die. They thought He was dead. On the first day of the week, they were heading to the tomb in order to treat His dead body with the respect that all of the dead were afforded. It was their normal cultural practice. In their eyes, He was dead. He appeared to His Disciples! He stood among them! He showed them His hands and His side! And He spoke words of peace to them. What grace! These men and women had gone through four days of trauma, and Jesus spoke Peace to them. See Part 2 to find out why I think it was the wrong question. Oh, Peter, how I can't wait to meet you. You had just confessed that Jesus was the Son of God. Jesus told you that this truth was revealed to you by the Father... you were so privileged to see it. Jesus responded with these words: "You are Peter, and upon this rock, this little stone, I will build my church." Jesus, the Architect, the Builder, the Chief Cornerstone, was saying that even though you were a little stone, a pebble of insignificance, you would be used in His plan to redeem a people unto Himself. This gives me hope. No matter how small and insignificant I am, God is using ME, too, in His great plan. YOU ARE A HINDRANCE TO ME. Peter, you were not setting your mind on the things of God, but on the things of man. You didn't understand that the death of the Perfect, Beloved, Holy Son of God was exactly what was needed in order to save a people from their sins. You didn't think God's way. You didn't want Jesus to suffer and die. Imagine those words - what a terrible shock. Upon which the Saviour would build His great church. I think Peter's stomach must have leapt in a lurch. "You are a hindrance to me," Jesus said. "Do you see there's a problem inside your head? 'Cause the things of man are most seriously flawed." Using Peter to hinder God's purpose most pure. But Peter was tempted to think thoughts of man. Yet His Spirit indwells and we take up our cross. God works in our sorrows - He purges the dross. And transforms us, His children, for endless delight. None of it is meaningless. NONE OF IT. No matter what you suffer. An open letter to my friend. I visited with you yesterday. It's a privilege, every single time. Your faith is evident. You are a light to all. You let me know how things are going. You shared what it's like to live with fluid building up in your abdomen, needing to be drained every week, simply so you can breathe. You told me of the kindness of your palliative care team, especially the doctor who came to your house to listen, to offer alternatives, to minister to you during this difficult time. You spoke of your husband, and your words told me that your love for each other is strong, and good, and holy. Your marriage is a picture of Christ and His Bride, the Church. You told me of the side effects, the twitching, the sleeplessness, the pain. You told me of the joy you have in listening to preaching and considering joy - the joy of all Christians that is there for us to claim, if we view our circumstances through eyes of faith. You spoke of your children. Always with love, always with concern, always with faith that God will do what is best in their lives. "What's hardest for me is that I cannot do what I used to do. I cannot serve others. I cannot minister to them. The gift God gave me was the gift of service, and I cannot serve. This is so hard for me." You have no idea how much you are serving! You sit on your couch and welcome all who are privileged to come into your presence. Your smile lights up the room. Your countenance is joyful and full of faith. You shine with beauty and poise, even in the midst of your suffering. Do you realize that you are a picture of Christ to everyone? Just as our Saviour was filled with the Holy Spirit, so are you, dear friend. We see God in you! The Holy Spirit indwells you. He has given you new life. He has matured you, sustained you, strengthened you, and empowered you for ministry. It's not the ministry you would have chosen, but it is what HE chose for you to do, and you are doing it well! You are producing fruit that will last. God's power is made perfect in your weakness. Just as the Holy Spirit empowered the Lord Jesus (Hebrews 9:14) when He laid down His life for us, the Holy Spirit dwells in you and will empower you to face whatever lies ahead triumphantly. He sustains you in your suffering, my friend. Just as He raised Jesus (Romans 1) He will raise you up, and you will dwell with Him eternally, praising and glorifying His Holy name. Remember, dear friend, that Jesus said to the disciples, "If you have seen me, you have seen the Father." Jesus showed us by His life what PERFECT HUMANITY looks like. The Holy Spirit works in us to make us look like Jesus. God is so good to us. He has taken corrupted, marred, scarred and broken image bearers, and restored in them the likeness of His perfect and Beautiful Son, Jesus Christ. 1 John 3:2Beloved, we are God's children now, and what we will be has not yet appeared; but we know that when he appears we shall be like him, because we shall see him as he is. The Holy Spirit helps you in your weakness. He is working all things together for good. He is conforming you to the image of His Son. Jesus suffered, and you are sharing in the fellowship of His suffering. He has called you. You will be glorified! Ephesians 2:10For we are his workmanship, created in Christ Jesus for good works, which God prepared beforehand, that we should walk in them. You are a fine porcelain vase, special, set aside for a purpose. God prepared the work for you to do, and you are doing it well. One day you will hear those blessed words, "Well done, thou good and faithful servant. Enter into the joy of the Lord!" Be patient, dear friend. Delight in each moment. When you suffer, look to Jesus. When you sorrow, look to Jesus. In your joy, look to Jesus. And remember, when others look at you, they see Jesus.